Michael Goodbee graduated from Colorado State University and Tulane Law School. 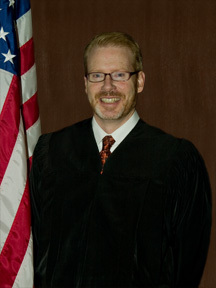 In his career, he was twice elected to serve as the District Attorney for the Fifth Judicial District. He was then selected by the Attorney General to oversee the state's Criminal Justice Section. Upon leaving the Attorney General's Office he served as second command at the District Attorney's Office in Brighton. He was appointed by Governor Bill Ritter in July of 2008.